For years I’ve been attempting to replicate the Power Muffins of the former Capers grocery stores in Vancouver B.C. Those very dense muffins were an entire meal, and an indulgence that Tony and I enjoyed once a week with a big mug of hot tea after a leisurely walk. When Whole Foods took them over, they attempted to keep the power muffin legacy, but their version just didn’t measure up. The healthy gluten-free muffin recipe below is by no means identical to those original power muffins (which were made with spelt flour and quite a bit of oil! ), but they truly reminded me of them and gave that same comfort food feeling. 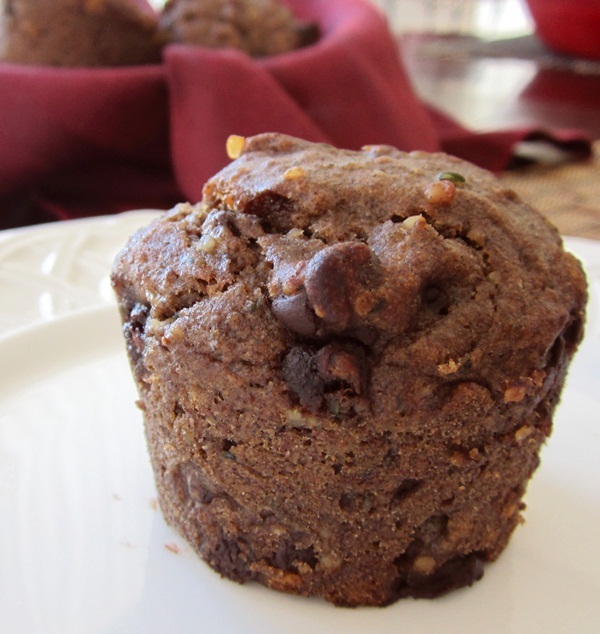 Unlike the original power muffins, this is a vegan (egg-free!) and gluten-free muffin recipe (made with buckwheat flour instead of spelt) that has less oil and less added sweetener, so they can be enjoyed nearly every day, rather than as an occasional indulgence. However, there are a few special ingredients that make this dairy-free and gluten-free muffin recipe reminiscent of power muffins past. First are the shelled hemp seeds (I use the Hemp Hearts from Manitoba Harvest). These little morsels are a textural delight. If you don’t have any hemp hearts on hand, the muffins will still be good, but not quite as powerful. Second is my husband’s favorite ingredient, dark chocolate chunks. And finally, the hearty whole grains. I was actually a bit surprised at how the buckwheat almost mimicked the earthy flavor of spelt, but sans gluten. 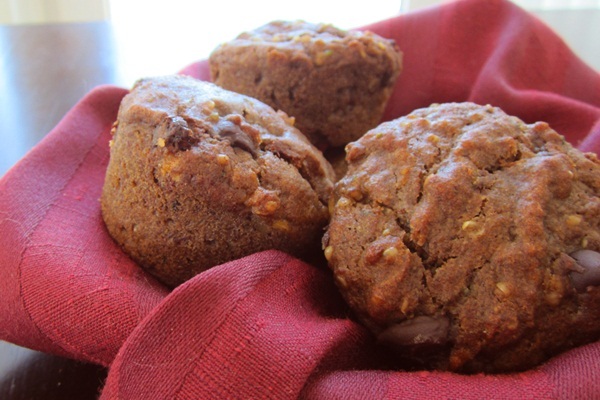 Beyond breakfast, we’ve found these vegan power muffins to be a great portable snack. They go well in lunch boxes or supply packs for a day out hiking or on the ski slopes. I’ve included a few notes on how to adapt these muffins, if desired, but we love them as is. Enjoy! By ingredients, this recipe is dairy-free / non-dairy, egg-free, gluten-free, nut-free, peanut-free, soy-free, optionally vegan, plant-based, and vegetarian. These are very hearty muffins, just the way we like them. If you prefer healthy muffins that are a touch lighter, and you aren't vegan or allergic to eggs, you can blend in 1 large egg with the wet ingredients. But truthfully, we prefer the egg-free version. For us, wholesome and hearty is what usually hits the spot! Preheat your oven to 375ºF and grease or line 9 muffin cups (unless you are using silicone muffin cups; they work best ungreased). Divide the batter between the 9 muffin cups, and bake for 25 to 30 minutes, or until slightly browned on top and a toothpick inserted into the center of a muffin comes out clean (well, aside from possible a little melted chocolate!). Serve with hot tea or pack along in lunch boxes. We use just ¼ cup liquid sweetener in this recipe, which makes them just sweet enough, and not too sweet for enjoying in the morning. If you like muffins a touch sweeter then you can increase the honey or maple syrup to ⅓ cup. 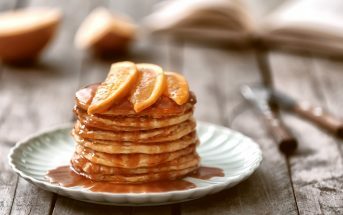 Could you use agave as the sweetener in these? These muffins are delicious! I’ve made them many times for myself and I made a batch for my mom and she also loved them! Great recipe! These are amazing! My chidren love them! 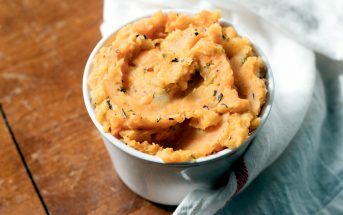 Instead of banana I’ve also made them with pumpkin puree and even mashed sweet potato! I’ve also replaced hemp hearts with lightly ground pupmkin seeds…they are always delicious! I love how I can change them up so much and have different muffins for my girls from the same recipe! This is now my go to recipe! are they dense or fluffy? Hi Mary, see my notes in the recipe! They are definitely hearty – dense and rich, but not doorstops. If you want a fluffier result, you can add eggs (regular or Ener-G for egg-free), though I would increase the sweetener a bit since you would be adding more volume. Alisa I’m wondering if i could use chopped nuts instead of hemp seeds..
Defintely! Nuts would work great, too. You can even omit them if you prefer not to have any “crunchy” items in muffins. Thank you!!!!! I loved these muffins and would buy them often at caper’s. I have missed them and healthy muffins in general since going gluten free. I will definitely be trying these, thanks again!!! What about even more protein, could you add protein powder? Hi Julie, I couldn’t say for sure without testing it, especially since all protein powders are quite different. Rice protein powders tend to dry baked goods out and change the texture quite a bit, while hemp protein powder might act a little more like ground flaxseed. If you do use eggs, egg white protein powder typically works the best in baking. yum! I haven’t done much baking with buckwheat but I trust your assessment 🙂 I might have to try a version of these with pumpkin in place of banana! That should be good! They may be a little crumbly though – pumpkin doesn’t tend to bind as well as banana. These sound perfect!! I’ve been loving hemp hearts in just about everything these days–sure these would be no exception! WOW! These muffins are packed full of good stuff! I love that these are gluten-free AND vegan! (….and you added in chocolate….which what muffin is perfect without chocolate?!?! 😉 ) I will be trying this recipe soon. Also I shared it on FB! Well done Alisa! I look forward to reading more of your blog. Alisa I’ve always loved your muffins recipes, but now I know we’re muffin soul sisters 🙂 I used to live in Vancouver and shop (and eat muffins) at Capers! I will be making these, love the chocolate chunks! Oh my goodness! This recipe is indeed awsome! 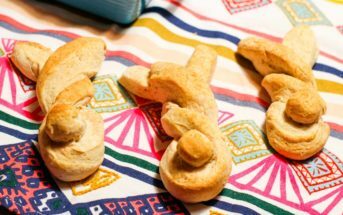 I tried baking it with my kids and we had fun and of course they loved it! They even asked for more. These muffins look awesome, Alisa! I think the buckwheat and banana combo sounds awesome. Do you think could use any sort of small seed in place of the hemp hearts? I have flax seeds on hand and wonder if they would work. Yes, any type of seed should work well! You may want to toast the flaxseeds to make them a little more “crunchable.” Hemp seeds are definitely softer than flaxseeds so even though they are tiny, they can be chewed and more easily digested. Sunflower seeds should work well too, or you can even go a different route and add dried fruit or omit the add-ins altogether for a simpler muffin. This is my kind of muffin! Love the idea of mixing healthy, gluten-free, and power into one tasty treat. Thanks for the recipe! These sound delicious, I just wish they didn’t include bananas. Banana’s are a bad migraine trigger for my daughter. Any ideas for a replacement? Hi Karen, can she do dates? Date puree would work great, too! Simply soak some pitted dates in warm water to soften. Puree with some of the soaking water for 1-1/3 cups of the puree. You will want to use enough water to give the dates a close consistency to mashed bananas. Thanks Hallie. Surprisingly, they aren’t too banana-y. The hearty flavors really combine well, and the banana taste is quite mellow. I don’t even think Tony realized they had banana in them at first.